We pride ourselves on bringing High Energy Kid Friendly, Family Fun to everything we do! We know that you are looking for the same from all your vendors. That is why we work with some of the areas hottest local talent. We can help you with face-painting, clowns, magicians, balloon artists, petting zoos and more! We can also arrange for many different characters. You can even ask us about recommending a DJ service to MC your event. 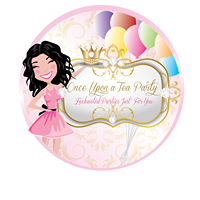 Once Upon A Tea Party is an award winning Princess & Storybook entertainment company specializing in Birthday party entertainment. They create an unforgettable Princess visit, which I'm sure will make your little royals birthday magical. Check out all available characters by clicking the link below! Order today knowing you will get the highest quality inflatables and characters! Need a Dj to keep your party going all night long. How about uplighting, zap shots, karaoke, projectors, 52" tv's, jumbo movie screens or black light's. 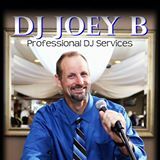 Joey B has been in business since 1997 and is celebrating 20 years of service in the industry making parties great They are a 2nd generation Father/son Team where you are treated like family and deal directly with Joe Jr and Joe Sr.
We have made a lot of friends throughout the years! You can't be at the Hottest Events in the Hudson Valley without eating food from the Best Local Offsite Caterers. We have a massive list of mobile vendors ready to bring the food and desserts to the Party! 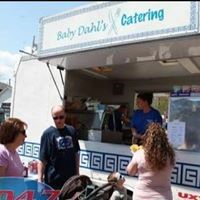 Whether you are looking for the total package or just an Ice Cream Truck to make an appearance, We have you covered! Click the link below and let us know what you are looking for. One of our party specialists will contact you and work out all of the details to make your party or event one to remember! We work with several of the areas best face painters! We can put together a package for any size party, large or small! Whether you are looking for just painted masks or a full face paint design, we have you covered. Click the link below and fill out the information. One of our party specialists will contact you and work out all the details to make your party or event one to remember!